Mabey Hire consists of 19 sites across the UK, with a combination of self-clean and contract services. The contracts were sourced from many different suppliers, creating several different avenues of time consuming administration processes to manage the service month to month. Each PO had a monetary value, and wasn’t benefitting the company & Invoices coming in from all directions at different times of the month. Mike chose to meet with each supplier and ascertain their value to the company, measuring service and cost. The smaller sites costed more, as the hours were of a minimal requirement; therefore the hourly rates were enhanced, and none negotiable. The strategic solution was to resource a company that could meet with Mabey Hire expectations. Mabey Hire used ServiceMaster and was aware of our customer service and wanted to test our suitability to a national provision. Mike was unfamiliar working alongside a franchise organisation, but after a constructive consultation was confident this was the way forward, national coverage with local service. Focus and goal, was to move to one provider, one blanket PO with agreed costs. Uniform SLA’s, trained operatives, improved service level, one point of contact, increased on site presence. First step was to break down the service and look at each site’s issues and individual needs. Surveys were completed and staffing levels measured. Feedback from the office managers was gathered, and built a picture of what they wanted their ideal service to look like. This gave ServiceMaster clear and realistic goals and objectives to work with. Once the data had been collated, the project progressed and developed to bespoke cleaning package, presented with a breakdown of costs, and cleaning specification. It is important for customers to see where their money is being spent, which helps long term when changes need to be applied. The Tupe process was significant. 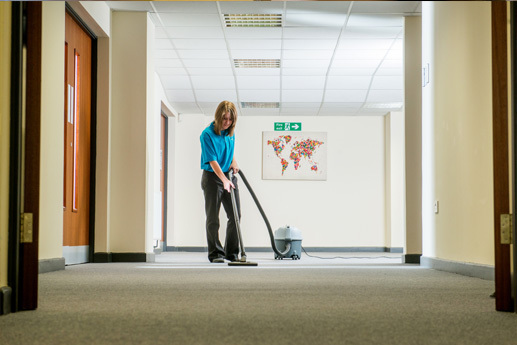 ServiceMaster went through the whole process; put Mabey Hire at ease, as they promote a great place to work and reassurance of job security for their cleaning operatives. The package was clear and transparent, and emulated what Mabey Hire was seeking. This gave us an opportunity to progress to point of sale. All we required was the contact details for each supplier, and an agreed implementation dates. ServiceMaster applied the transfer process and due diligence. All the customer had to do was sit back and let us take the reins. Communication went out the network with service handover, each office and cleaning operative was introduced to their local service centre and the working relationship was developing. Moral and enthusiasm increased almost instantaneously. The launch dates went without a hitch, and Mike couldn’t believe how easy it was to work with ServiceMaster. We did what was asked of us and kept it simple. The offices are more than happy with the new arrangement and have certainly felt a more on site presence. No major teething problems and staff retention remains at 95%. In fact, the cost savings Mabey Hire benefitted from, enabled them to invest back in to the cleaning package enabling operative to receive an enhanced pay rate as an incentive for loyalty and commitment to Mabey Hire. ServiceMaster was awarded a contract to provide cleaning services at a school based in the midlands in 2013. They had engaged with other providers and Local Authority, and felt let down by the service they were promised, almost giving up on the idea of a managed service. Termination of the contract was for several reasons, including l Poor cleaning standards and inconsistencies with service delivery standards, with several complaints emerging on a weekly basis, both new and unresolved. Poor communication with their existing provider. By listening carefully to the needs and concerns of the client ServiceMaster quickly assessed the immediate underlying causes of the issues. We immediately identified the areas that were undermanned and with a combination of increasing more hours to existing staff and recruitment the contracted hours were filled. 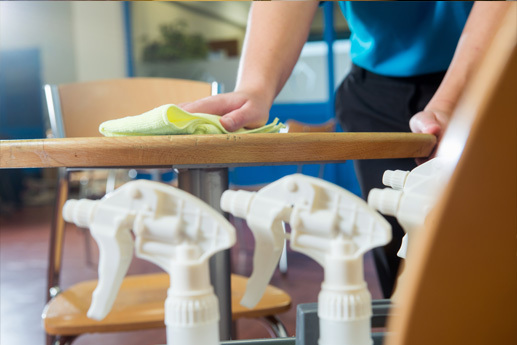 ServiceMaster facilitated by strategically implementing Mobile Cleaners, who were on call to fulfil shifts, where unexpected absence occurred, relieving existing staff of having to stretch their capabilities at short notice, which can lead to low morale, and a high turnover of staff. 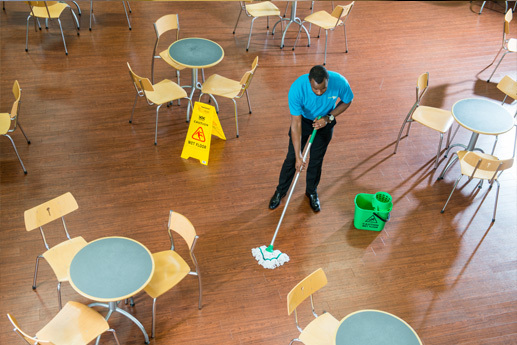 The cleaning staff had little or no support from the incumbent management, with very few on-site visits taking place on a regular basis. The appointed management team were engaged with visits aspiring to an average of once per week. Improved communication, management support and direction. The incumbent company had done little in the way of assessing and improving cleaning standards on a regular basis, failing to address any issues were raised by the customer. ServiceMaster’s quality auditing system was introduced. At least four inspections per month take place by the Area Manager and copies of these are emailed directly to the Estates Manager. 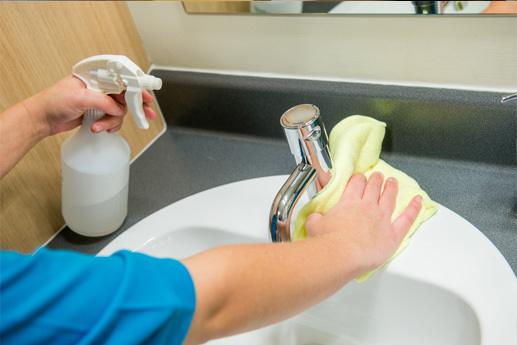 In addition the Cleaning Supervisor is tasked with auditing up to six areas of cleaning per month. Improved inspections of cleaning and immediate follow-up resulting in improved cleaning standards. Frustratingly, the cleaning provider failed consistently to respond to requests and communication from the customer. ServiceMaster operates an open and honest approach with our customers by way of regular meetings and “catch-ups”. Our calls whether by phone or email are always answered. ServiceMaster dramatically improved the cleaning service, consequently reducing the complaints on this site from three per week to zero under ServiceMaster Management. The relationship developed with the school management team has reinstalled their faith in a cleaning service management provision. As a result of our efforts, passion and dedication, ServiceMaster were consequently considered and recommended to other establishments in the area, and successfully awarded the contracts for their learning centers. As a business, we strive for continual improvement, we are in tune with innovation and technology, we listen to our customers and engage with their ideas. We review our processes ensuring they are fit for purpose, aspiring to meet the demands of the customer’s business model. In early December 2011, Sharon Basely the Practice Manager at 2th in Market Harborough, advised that they would be undergoing a CQC inspection within the next week. Although they were existing customers of ServiceMaster Clean, the compliance system had not yet been implemented, thus leaving a small window of opportunity to ensure compliance. Despite the short notice, the local ServiceMaster business rose to the challenge and with less than a week’s notice they were able to install the additional colourways for the equipment along with all the method statements and documentation required for CQC compliance. Most importantly, they instigated the training programme for the cleaner. She was already working to the brand standard, so the training was able to focus on the methods and checking documentation required for compliance. 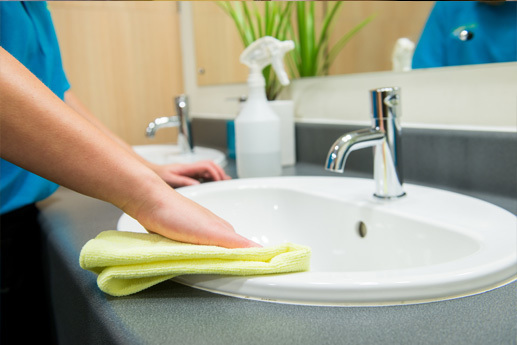 The cleaner was taken through all the CQC requirements and assisted by additional staff so that all her normal cleaning duties were completed during the training period which lasted 3 evenings. The inspection went very well and the practice passed with flying colours. Not only that but the inspector was very impressed with the storage and range of equipment and made particular reference to the documentation. Practice Manager at High St Dental Care in Melton Mowbray, Amanda Braithwaite, made contact in November 2010. She informed ServiceMaster of the urgent need for them to comply with the impending CQC regulations. Over the following year, the local ServiceMaster business worked with the practice developing the system to meet the CQCs requirements. As a leading supplier to the local Primary Care Trust, High Street Dental Practice were focused on meeting the standards in the shortest possible time frame. The system developed with them has been implemented and has been operational since November 2011. High Street Dental Practice have not yet had an inspection but as the system is in place, all the training done and the checks documented and filed, they know that they are fully complaint and confident that any inspection in the future will be passed without problem thanks to the help of ServiceMaster.